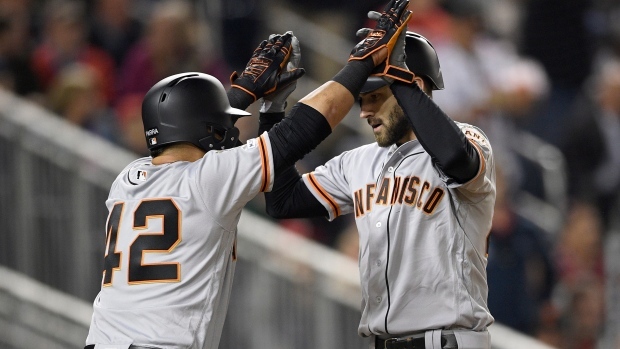 WASHINGTON — Evan Longoria and the rest of the San Francisco Giants came into their matchup against Stephen Strasburg with a grand total of 10 homers through their first 17 games — worse than all but one other team in the majors. Longoria led off the fifth with a shot to right-centre off a 95 mph pitch. One out and one hard-hit single later, Duggar took a 92 mph offering just over the wall in left-centre for a two-run drive that made it 3-1.